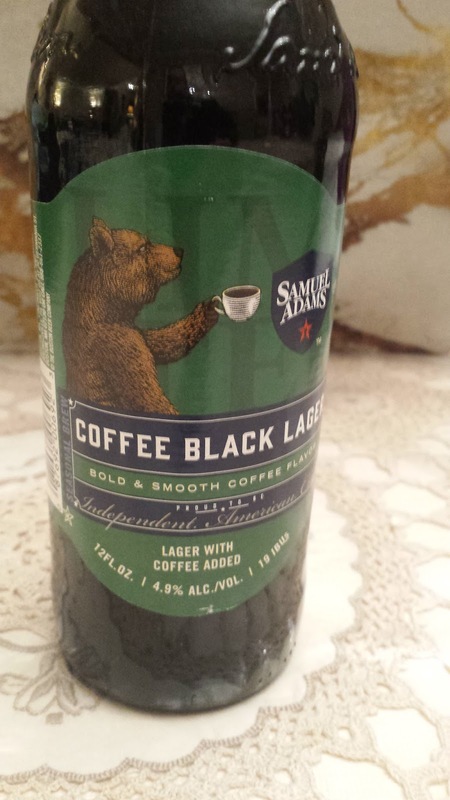 This week's Sunday Night Suds looks at Samuel Adams Coffee Black Lager. The Coffee Black Lager is the last of the three new beers in the American Craft Lagers Variety Pack, which also includes Kellerbier (reviewed here http://kosherbeers.blogspot.com/2018/01/sunday-night-suds-samuel-adams.html), Smoked Lager (reviewed here http://kosherbeers.blogspot.com/2018/02/sunday-night-suds-samuel-adams-smoked.html) as well as old friends Boston Lager, Fresh as Helles and Noble Pils. Schwarzbier ("shvahrts-beer"), is simply German for black beer. It doesn't mean that it's necessarily heavy or light in body, although they tend to lean towards light. Unlike other dark beers, like porters or stouts, they are not overly bitter with burnt and roasted malt characteristics that the others tend to depend on. Instead, hops are used for a good portion of the bitterness. Very refreshing and soul lifting beers, they also make a great alternative for the Winter. Especially when you are looking for a lighter beer, but one with depth of colour and taste. The Coffee Black Lager is the latest iteration of coffee flavored beer produce by Samuel Adams (see review of the Coffee Nitro Stout reviewed here earlier this month http://kosherbeers.blogspot.com/2018/03/sunday-night-suds-samuel-adams-nitro.html). This beer attempts to merge a black lager with a coffee infused beer and I have certain mixed feelings about it. The beer is low on the alcohol side (4.9% abv) and that's ok when you are having a lager. Especially when its a black lager which when done well has interesting subtle flavor notes. But in this case they are masked by the coffee added to the brew. That's not to say that the coffee is unpleasant or even over the top and the beer is an easy drinking brew. But it could have been so much more. The Coffee Black Lager is under the Kosher Supervision of the Star-K and has a Star-K certification mark on the bottle. To see what the experts on Beer Advocate think about this brew, please follow this link - beeradvocate.com/beer/profile/35/304883.